Pharmacy rewards programs, much like gas station rewards programs, essentially enable you to get paid for shopping. Whether it’s to pick up a new lipstick, your favorite shampoo or a prescription, it’s likely that you shop at a pharmacy, drugstore, or grocery store that has a pharmacy on a pretty regular basis. And, thanks to the pharmacy rewards programs that many of them offer, you could save yourself some money on your purchases. Many of the country’s top pharmacies, like CVS and Walgreens have pharmacy rewards programs that reward customers when they buy things. All of these programs are designed to save you money and reward you for spending. Points when you shop that can be redeemed for store credit. If you shop at pharmacies and drugstores regularly, then you’ll definitely want to consider joining one or even a few of these loyalty programs. To save you some time, we’ve gathered a list of all of the best reward programs that the country’s pharmacies, drugstores and supermarkets have to offer. If you shop at Walgreens regularly, first you want to read our guide on how to save money at Walgreens. Besides that, you’ll definitely want to sign up for the Walgreens Balance Rewards program. 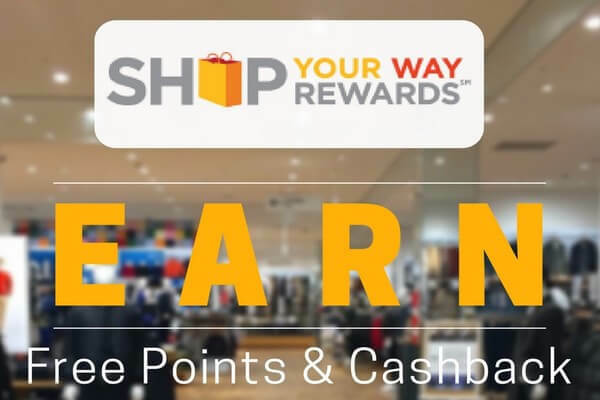 With this program, you earn points each time that you shop at the store. You earn points on everything in the store too. Once you accumulate points, you can redeem them for store credit. It’s definitely a great way to get a little something extra out of your shopping. But, this store credit isn’t the only benefit of joining this generous program. You can also get access to coupons, which allow you to coupon at Walgreens and save even more. One type of coupon you get exclusive access to as a member of the Balance Rewards Program is Register Rewards. These are coupons that print out at the register that you get alongside your receipt when you shop at the store. Generally, these coupons are for money off future purchases at Walgreens. Anyone who shops at Walgreens can join the Balance Rewards program. It’s entirely free to join. Visit the store at go to a checkout or photo kiosk. Download the Walgreens app and sign up. What’s interesting about the Walgreens app is that you can also earn rewards for doing healthy things, like walking for example. Another pharmacy rewards program that’s definitely worth joining is CVS ExtraCare. It’s one of the best out there. For the program, you receive a CVS ExtraCare rewards card. Each time you shop with this card you accumulate rewards on almost all purchases. You get 2% of your spending back in the form of Extrabucks Rewards. Even though 2% back might seem like a small amount, it really ads up over time, as you get this cash back every time you shop. But, that’s not the only savings benefit that the ExtraCare program offers. When you fill ten prescriptions, you get $5 worth of rewards. Plus, you get access to a variety of personalized coupons that save you even more each time you shop. As a CVS ExtraCare member, you get access to the ExtraCare Coupon Center. These coupon centers are red kiosks that you can find in-store. At the coupon center, you can find dozens of money-saving coupons. Before you begin shopping, go to the ExtraCare Coupon Center in the store. Then, scan your ExtraCare Card. Don’t worry if you’ve forgotten your card; just enter the phone number that’s associated with it instead. Select the coupons you want and print them out. Once you purchase the products, your coupons are redeemed. It’s really easy to get an ExtraCare card. Anyone who shops at the store can sign up for one, and it’s free! You can sign up for an ExtraCare card here. If you often frequent your local Target store, then you might want to consider signing up for a Target REDcard. It’s like a loyalty card, but with a difference, the card is actually a credit card or debit card, depending on which type of card you apply for. Save 5% in-store and when you shop online at Target.com. Get free shipping on most products when you shop at Target online. 5% is a pretty generous discount, which definitely makes the Target Red Card one of the best programs for saving money at Target. If you want a Target REDcard, then you’ll need to apply for either a credit card or debit card, depending on your preferences and financial situation. Visit the homepage for Target REDcard and then scroll down the page and click on the type of card you want to apply for. Another good pharmacy rewards program is Rite Aid Wellness+ with Plenti. Through the store’s Wellness+ program, you earn points and get access to exclusive discounts. Rite Aid has also partnered with Plenti, a popular rewards program. So, with your Rite Aid Loyalty card, you can earn both Wellness+ and Plenti points. Essentially, you get one card, but two types of points. You can earn 1 Wellness+ point per dollar spent on non-prescription items. For each prescription filled, you can earn up to 25 points. And, for government-funded prescriptions, you can earn 1 point for every dollar spent on co-pays. Bronze (100 points): You get 10% off your shopping for every 100 points, as you move up to Silver. Silver (500 points): You can get 10% off pretty much everything in store for a whole year. Gold (1000 points): For a year, you get 20% off almost the entire store. Plenti is a rewards program, which partners with tons of retailers and service providers, like Macy’s, Hulu, and of course Rite Aid. When you shop at RiteAid with your Wellness+ with Plenti card, you can earn points. Plenti points can only be earned on Plenti eligible products. So, you’ll need to keep an eye on rotating product offers at the store. What’s interesting about Plenti points is that they can be earnt at one store and then spent at another. So, if you earn points at RiteAid, you can use them to save money at Rite Aid, or at one of Plenti’s other partners, like Macy’s for example. For every 200 Plenti points you earn, you receive at least $2 in savings at the checkout at Rite Aid. And, for every 1000 points, you can get at least $10 in savings at certain Plenti partners. Not only does the Rite Aid Wellness+ with Plenti card get you discounts and save you money on your purchases, but, it also gets you access to exclusive Load2Card Coupons. You can load coupons onto your Plenti card, and then redeem them instore and online, using the same card. Amazingly, you get access to more than 100 dollars’ worth of digital coupons, for brands, like Proctor and Gamble. What’s great about the Load2Card feature is that you don’t have to clip any paper coupons and take them with you to the store. You can easily redeem your coupons at the store just by using your Plenti card. If you want to get your hands on a Rite Aid Wellness+ with Plenti card, then visit this page to sign up. Easily view the store’s money saving weekly ad. 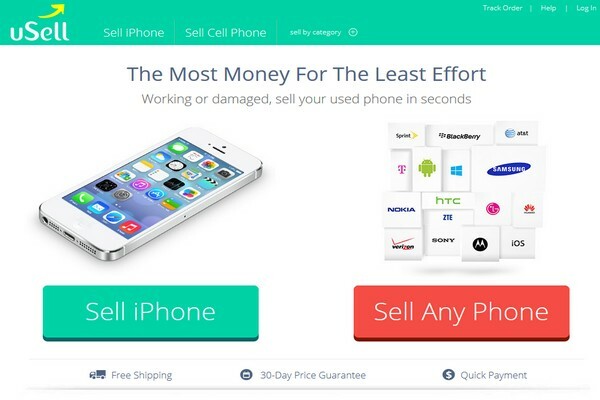 Also be sent exclusive email offers that can save you more. To sign up for a digital account, you’ll also need a Kroger Plus Card. With a Kroger Plus Card, you can earn fuel points on your shopping, and get access to all of the great features of the Kroger digital account. To get access to all of the features of a Kroger Digital Account, you’ll need a Kroger Plus Card. To get one of those, visit the customer service desk at your local store. Once you’ve done that, you’ll need to sign up for a digital account, which you can do here. One of the best customer loyalty programs out there is Sears Shop your Way. With this program, which is free to join, you earn points when you buy products at the store. Every time that you shop at Sears, you earn points. You get 10 points per dollar spent. You can redeem these points on future purchases. But, that’s not all. You also get access to exclusive, member-only coupons that save you even more at the store. The Shop your Way membership can also be used at other stores, including Kmart, Craftsman, MyGofer and Kenmore. If you want to join the program, then you need to fill out the form on this page. But, if you also want free shipping on all purchases, then you can sign up for a Max Membership, which costs $39 per year. With the paid membership, you also earn 20 points per dollar spent, rather than 10 points, plus $3.00 in points every month. Grocery store and pharmacy Giant Eagle offers its customers the chance to save money with its Advantage Card. Every time you spend $50 instore, you’ll earn 10¢ per gallon at GetGo. You’ll get access to special offers and promotions if you register your card online. Also, you’ll get access to digital coupons that you can load right onto your Advantage Card. You can then redeem those coupons when you swipe your card at the checkout. If you want a Giant Eagle Advantage Card, then visit your local store. Alternatively, you can register for a card by calling Customer Care at 1.800.553.2324. Winn-Dixie is another drugstore, like Rite Aid, which partners with the rewards program Plenti. The store offers a Winn-Dixie Rewards with Plenti card that allows customers to earn Plenti points when they shop. If you want to earn points, then you’ll need to buy Plenti eligible products. You can use your Plenti points to get money off of your purchases at Winn-Dixie, and other stores, like Rite Aid and Macy’s. This is because Plenti cards can be used at any partner store, even if it highlights a specific partner. If you’d like to get a Winn-Dixie with Plenti card, then visit this page to sign up. If you shop at grocery store and pharmacy Hy-Vee, then you might want to consider joining the Hy-Vee Fuel Rewards + Perks program. There’s an app available, which you use to view all of your fuel rewards and perks. With the card and app, you get access to discounts on fuel, in-store savings, and tons of different coupons. You can easily check your rewards balance from the app and refill your prescriptions and get notifications when prescriptions are ready for pickup. Plus, you can load your coupons to your Fuel Saver + Perks card within the app, and easily redeem them in store. If you want to get a Fuel Saver + Perks card, then you need to sign up for an account here. If you shop at supercenter chain and pharmacy Meijer, then you might want to consider signing up for the Meijer mPerks program. With rewards, you get savings based on the items you purchase when you shop at Meijer. $3 off your next purchase if you spend $6 or more on seafood. $2 off your next shopping trip when you spend $15 or more on vegetables. Earning rewards is really simple – all you need to do is purchase products that qualify for rewards, and then enter your unique ID and PIN at the checkout. 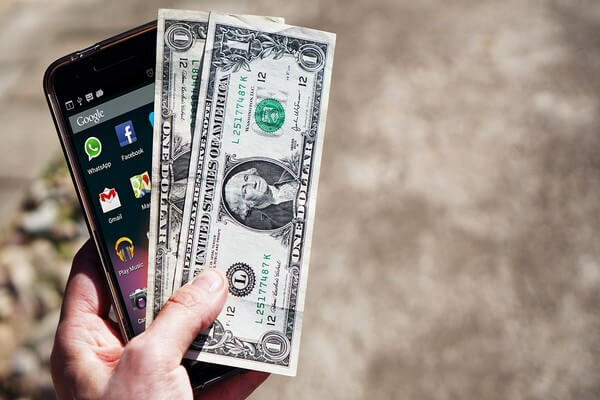 For most rewards, you have to hit a certain spending goal to earn them. So, it’s best if you know what’s available, by tracking rewards – this allows you to unlock them quicker. You can check rewards in progress by logging into your account online or through the Meijer app. When you track your rewards, you can see how close you are to earning your next one. Meijer also allows you to earn rewards when you fill prescriptions. With these Pharmacy Rewards, you earn one reward credit for every five prescriptions that you fill. You get to choose the reward that you want as well. As with general rewards, you’ll just need to enter your PIN and ID at the checkout. As a member of the Meijer Mperks program, you get access to a plethora of digital coupons. Searching through coupons is really easy, as there are filters that you can use to find what you’re interested in. Clipping them is easy too. You can clip them digitally and store them in your account. When you visit the store, the coupons you’ve clipped will be redeemed when you enter your PIN and ID at the checkout. If you want to join the program, you can sign up by visiting this page. Download the Meijer app for iOS here. Download the Meijer app for Android here. H-E-B Points Club Rewards is another good customer loyalty program. If you’re a member of the program, then you earn points each time you shop at the store, which are credited to your card and can be redeemed at any H-E-B store. Each time you shop, for every dollar you spend, you earn 5 points. Handily enough, H-E-B sometimes has Triple Point Events. During these events, you can also earn 15 points for each dollar spent. What’s also great about the program is that you can also link coupons to your card, meaning you get extra savings. Sign up in store: You can sign up in store and receive your Points Club Rewards card immediately. You’ll just need to download the enrollment form, which you can find here, and then return the completed form to the store. By phone: To sign up by phone, call toll‑free 1‑877‑432‑ The phone line is open Monday to Friday, 8 a.m. to 6 p.m. You’ll then get your card through the mail within 10 to 15 business days. By mail: You can download the enrollment form online here, and then mail the completed form to H‑E‑B, Attention: Points Club Rewards, P.O. Box 839999, San Antonio, TX 78283‑ You’ll get your Points Club Rewards card mailed to you in 10 to 15 days. As you can see, there are quite a few pharmacy loyalty programs that you can join. 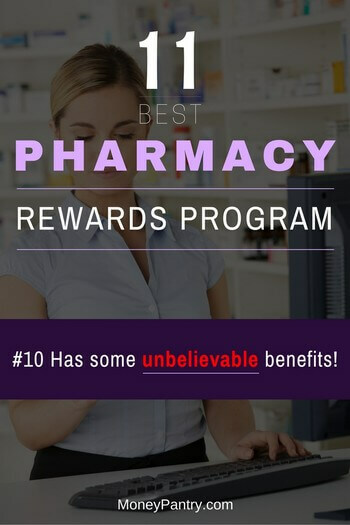 Overall, if you shop at places like CVS and Walgreens frequently, then you should definitely consider joining a drugstore rewards program, or multiple programs! They can save you so much money over time. If each time you shop you get cash back, or access to an exclusive savings opportunity, like a members-only discount or coupons, then you’ll end up saving a lot over the course of a year. So, think about your favorite pharmacies and drugstores and join a rewards program.